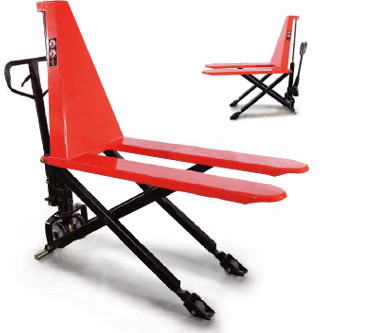 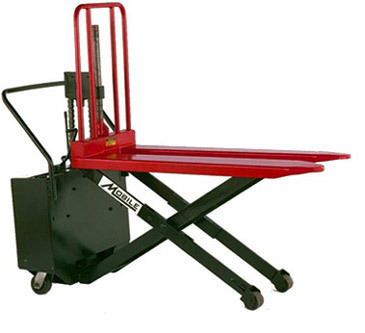 MPS25 Manual Pump Scissor Lift - MOBILE INDUSTRIES INC. :: Material Handling Tranport, Lift and Warehouse Equipment. 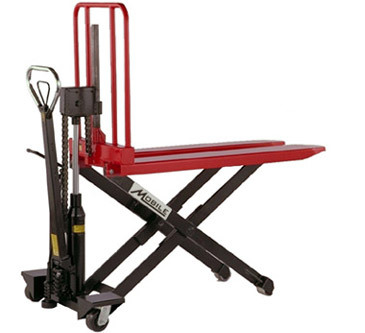 The Mobile MPS25 Scissor Lift is a manually operated transport unit designed to handle applications such as: lifting/transporting skids and bottomless containers, loading/unloading conveyor systems, and as a mobile work station. 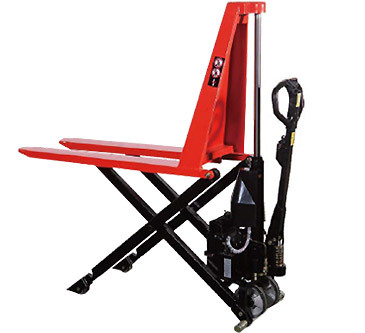 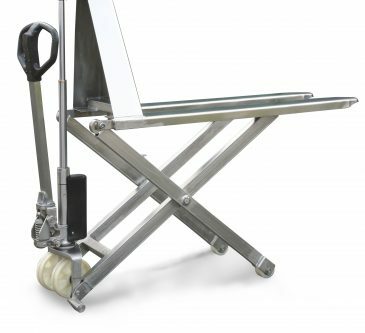 Built to work like a combo Pallet Truck/Stacker, the MPS25 is a valuable tool in reducing worker injury due to poorly planned material handling procurement.